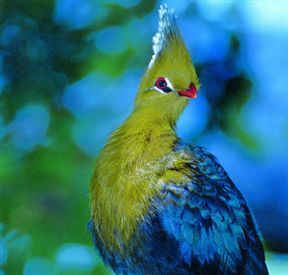 There are more to the beautiful Garden Route than just great and relaxing accommodation. 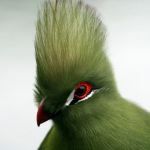 Whether you are visiting this beautiful part of South Africa to relax or to see amazing places and do some fun activities, here you will find it all. 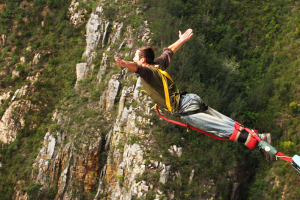 If you are a person who loves doing adventurous and extreme activities, than a visit to Bloukrans is a definite must on your list. 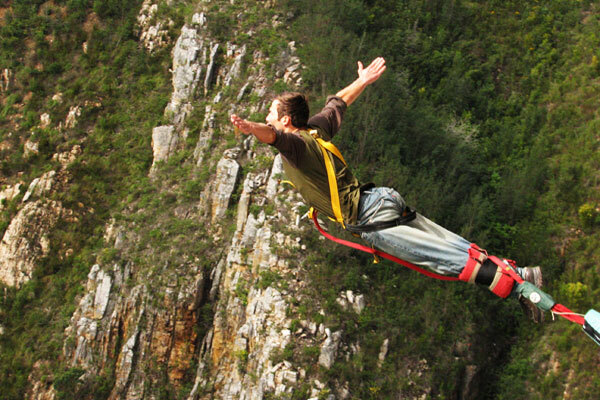 Yes that’s right, if you have a lot of adrenaline pumping through your veins and you fear nothing, then come jump of the bridge of the highest bungee jump in South Africa. Bloukrans Bridge is situated near Plettenberg Bay and is 216 metre high. Standing on the specially designed catwalk you will have breath taking views of the mountains and sea in the distance. 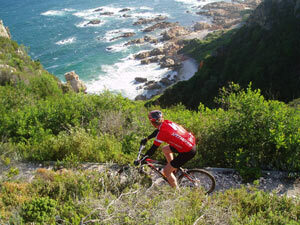 If bungee jumping is not really your thing, then there are still the mountain bike and hiking trails. If you love cycling and beautiful scenery, then you will love Harkerville. 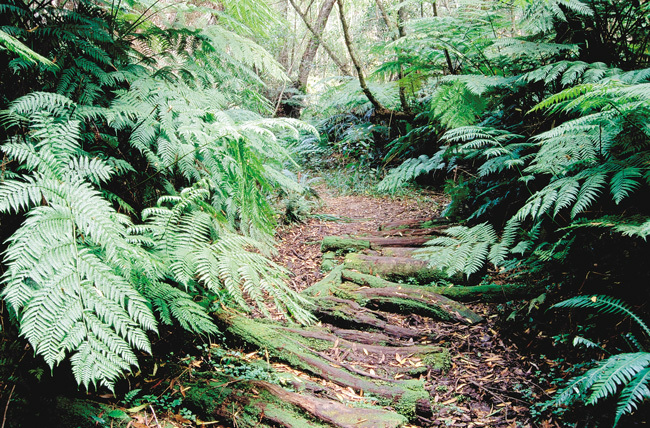 The Harkerville cycle route is situated in the Harkerville Forest, which can be found between Knysna and Plettenberg Bay. There are 4 routes to choose from. 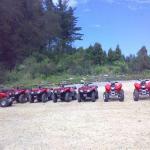 Ranging from beginner mode to the more difficult and advanced mountain biker. 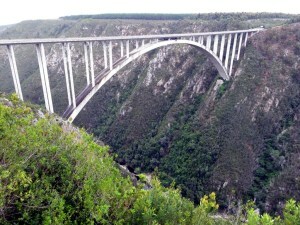 Each of the routes begins at the Garden of Eden on the N2. 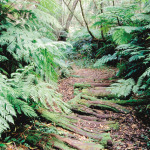 Formally known as the Woodcutters trail and also named after the famous novel of Dalene Matthee’s “Kringe in n bos”. This is a fun outdoor activity and a true forest experience for the whole family from young to old. The trail will start at Krisjan-se-nek and you will have the option to choose between a 3km and 9km trail. The 3km is of course a little easier than the 9km one. 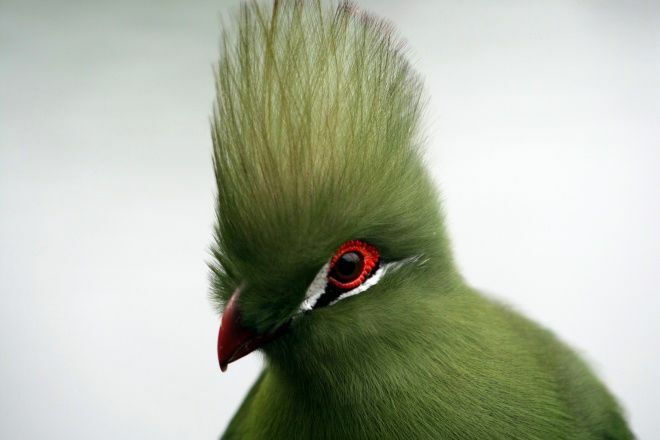 This is beautiful scenery at its best, walking amongst huge yellowwood trees and ferns, you might even spot the famous Knysna Loerie and don’t forget about the big tree – a very old 800 – 900 year old Outeniqua Yellowwood tree. If you are looking for a place where the whole family can have a great day filled with fun and laughter, this would be it. 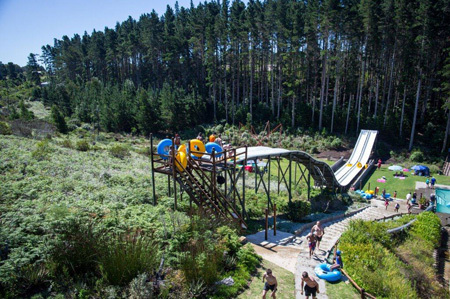 Set on a 24 hectare estate with beautiful natural surroundings, this is a waterpark with a difference. Here you will find seven different rides – ranging from the old time favourite – the super tube, to other rides like a free fall slide, the two lane speed racer, and raging rapid tube slide. 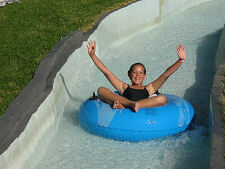 For the smaller kids there is a kiddie’s pool, and mini super tube. So while the kids are enjoying themselves in the water, you can relax on the big green grassy lawns with a delicious picnic basket. There is also a play park where the little ones will find a jungle gym, swings and trampoline. 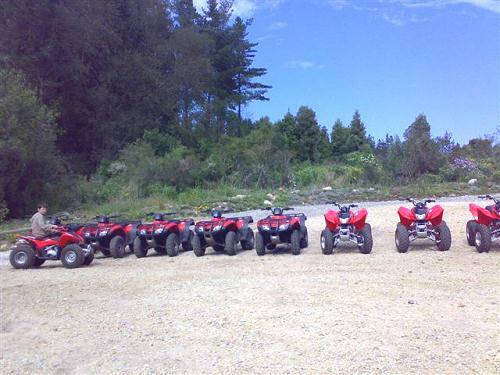 Want to take a break between all the water slides, then why not take a quad bike ride through the forest? Here there is something for everyone. 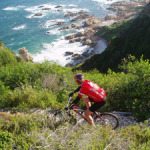 Click HERE to book your Accommodation in the Garden Route.